ACK customers won't stop sharing their creative DIY projects with us, and we definitely don't mind. Keep 'em coming, and we'll keep featuring them on our blog! Recently, we had a couple submissions describing quick fixes to add stability to tippy canoes (or just calm fears about the possibility of tipping) using foam floats purchased from our online store. A new dog owner was looking for a way to take their adopted lab Kira on 4-day river trips, so they installed Harmony Silent Traction Pads on the nose of their boat to give their dog more grip to stand. If you’re fishing the Texas Gulf Coast (or any other coast) and want to use a simple yet effective technique to catch inshore species like reds, trout or flounder, then try a popping cork rig. Here's some quick info on gathering your supplies and mastering the movement. 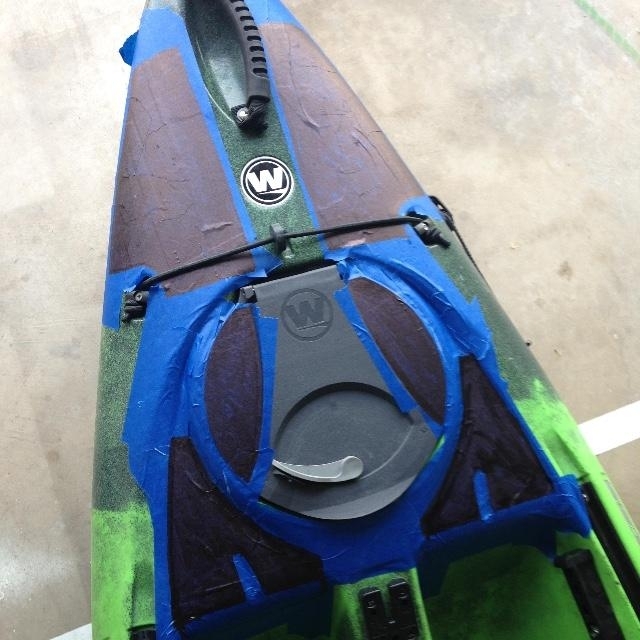 From the Railblaza Team Railblaza sponsored UK angler Ian Pickering (Ocean Kayak UK Fishing Team) has been putting his thinking cap on and applying a little DIY to make use of his Railblaza accessories on the Old Town Predator 13 fishing kayak. The Predator 13 comes with mount plates fitted to the gunnels, which allow the mounting of accessories without the drilling of holes into the kayak. Introducing the ACKessories Milk Crate! What is the one accessory item you can always find in the tankwell of a kayak fisherman? If your answer was, 'A milk crate!